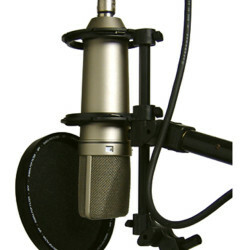 This most recent configuration of the SABRA microphone modular system meets the need to position firmly, safely and with versatility, larger and heavier microphones, combining in a single set-up the renown SSM-1 universal noise suppressing elastic microphone support with the high precision, 5” diameter, double face pop filter – SPF at a surprising low cost. 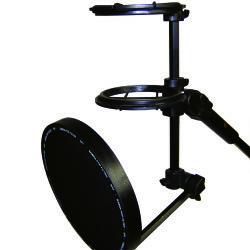 01 articulated arm, formed by a 200 mm hexagonal aluminum bar and a 150 mm hexagonal aluminum bar. 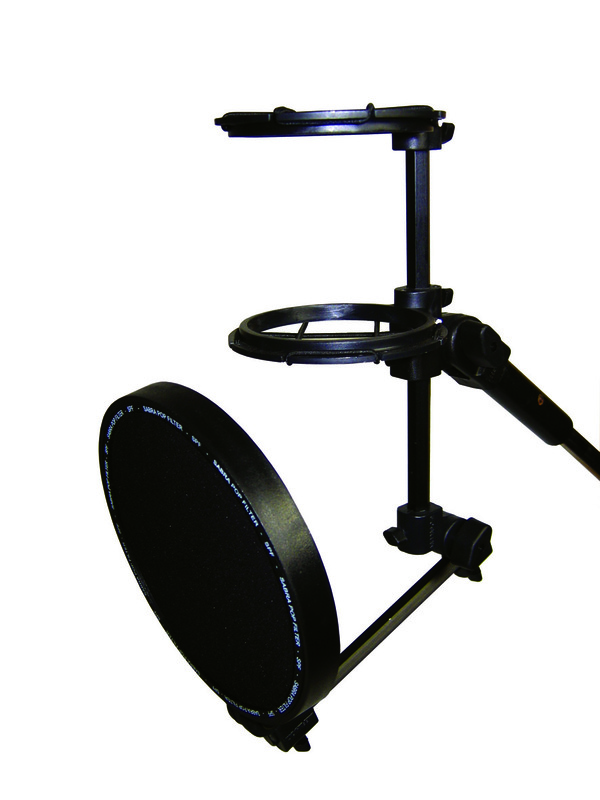 01 central elbow with ratcheted central axis, with a 5/8” universal female thread at its base, attachable to any conventional microphone stand. 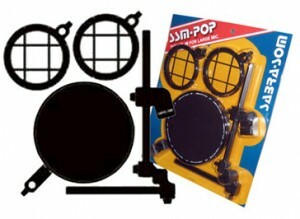 01 5” diameter double-face POP FILTER. 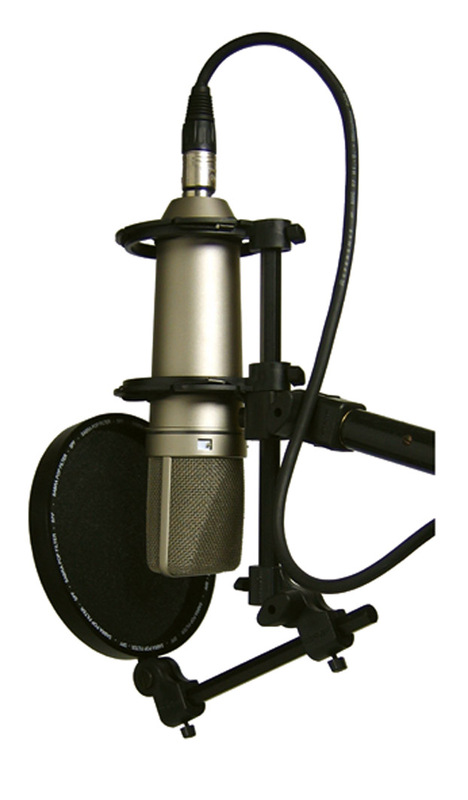 The SSM-POP, predominantly designed to be used vertically, perfectly accommodates larger and heavier microphones, with extremely easy adjustment and locking, allowing conventional or inverted configuration, while conserving the high performance of the microphone being used.